Knight of Cups follows writer Rick (Christian Bale) on an odyssey through the playgrounds of Los Angeles and Las Vegas as he undertakes a search for love and self. 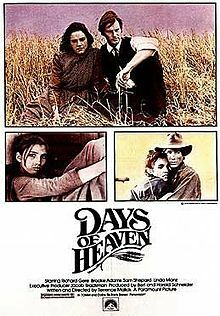 Even as he moves through a desire-laden landscape of mansions, resorts, beaches and clubs, Rick grapples over complicated relationships with his brother (Wes Bentley) and father (Brian Dennehy). His quest to break the spell of his disenchantment takes him on a series of adventures with six alluring women: rebellious Della (Imogen Poots); his physician ex-wife, Nancy (Cate Blanchett); a serene model Helen (Freida Pinto); a woman he wronged in the past Elizabeth (Natalie Portman); a spirited, playful stripper Karen (Teresa Palmer); and an innocent Isabel (Isabel Lucas), who helps him see a way forward. 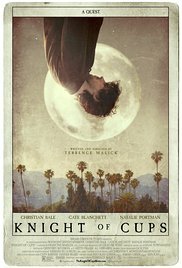 Q: Can we read “Knight Of Cups” like a poem? Looking to "Knight of Cups" for plot or traditional three act structure is an exercise in futility. So how can a viewer unpack such a deconstructed narrative? The answer could lie not in the language of film but the language of poetry.